Mac Repair | Onsite Service | Altitude Data Computer Repair | Ft Collins, CO.
For 5 years Altitude Data Computer Repair has provided the best onsite and drop off repair and upgrade services for Apple products in the Fort Collins area. We are attentive to your needs, highly proficient at solving problems and help advise and keep you up to date on what's best for you and your Mac computers. 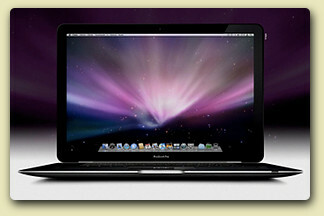 Contact us now to get started on improving your Mac's performance! At Altitude Data, we strive to minimize your downtime, and always try to do the best job possible. Whether it be a data recovery on a hard drive, replacing a bad RAM chip, or a battery replacement on a MacBook Pro, we'll always be honest tell you like it is about the job required. We realize no one likes being blind-sided with an outrageously huge repair bill. Just give us a call and schedule a free diagnosis and we'll pick up your machine if neccessary and provide you with a detailed analysis of the system problems followed by a firm repair quote. The return delivery is also free. Altitude Data values your time and we will schedule an appointment with you in advance and show up as scheduled so there's no waiting, and no more "sometime in the morning or sometime in the afternoon appointments". Because of our onsite repair and pick-up service, once the repair is completed, we'll run extensive testing to ensure all the issues were resolved. Then we'll drop your Mac off at your home or business, which ever you prefer and on time. Most repairs can actually be handled onsite. No packing up your Mac and dragging it down to the local repair shop, we come to you.